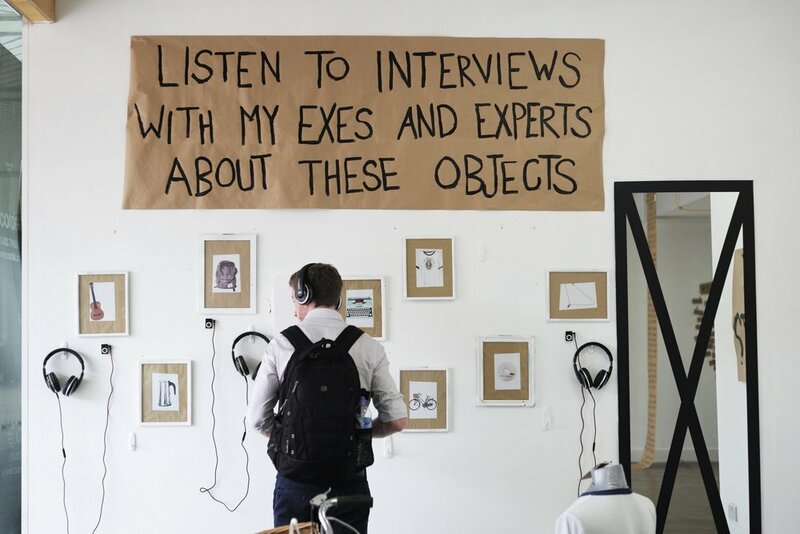 THE EX-BOYFRIEND YARD SALE EXHIBITION is an interactive, art installation about the cost and value of love. Eight gifts given to me by my real ex-boyfriends are on display. The space is transformed into a mash up of a yard sale, auction house and art gallery (places where values of objects fluctuate wildly). The exhibition provokes us to consider how/if we can turn sentimental value into cold, hard cash? You’re invited to take a look at these gifts, appraise them, listen to audio interviews with my exes and contribute your stories about what love has cost you. There's also a section all about the value of music to a broken heart, where people are invited to share a song they listened to on repeat when going through their most significant heartbreak. The Broken Heart Playlist has over 400 songs and is available on Spotify. 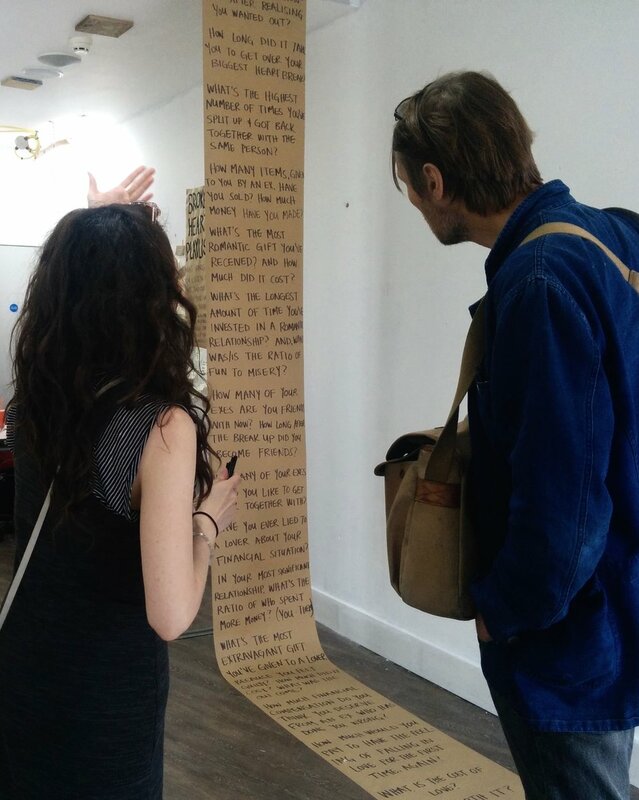 The Exhibition was first presented as a pop-up at Meanwhile; Art Space in Euston Square, London (June 2018). The response was overwhelmingly positive. 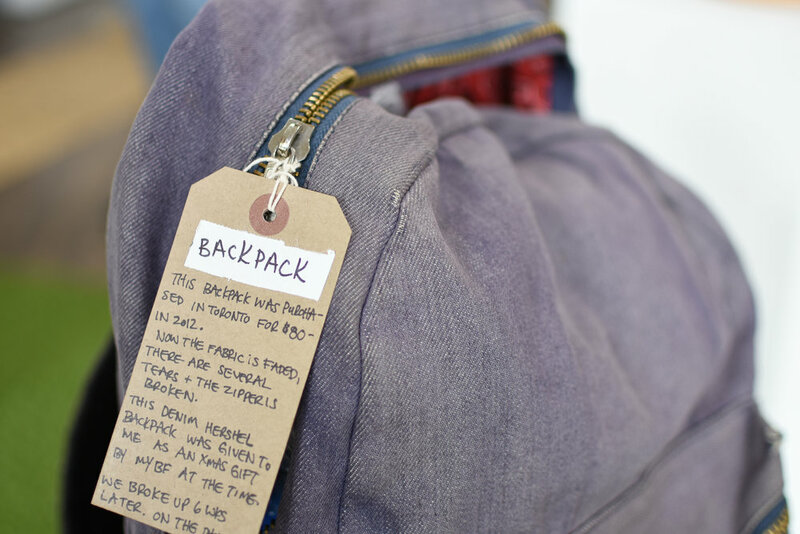 This Exhibition is part or a larger project, which includes a live theatre show, The Ex-Boyfriend Yard Sale, that will premiere in autumn 2018. The Exhibition will tour in Canada in March 2019. If you're interested in bringing the Exhibition to your city, please use the contact form on this site to get in touch. Haley McGee. Photo by Laura Evans.